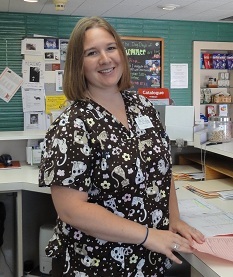 Alyssa has joined our staff as a recent grad from Veterinary Technician School. She is currently utilizing the skills she learned and using them to prepare for her boards. Katy joined the staff of Towne and Country Animal Clinic in September 2016 as a Veterinary Assistant and is currently going to school to become a Registered Veterinary Technician. Katy has a Pit Bull, Waxer, as well as 2 German Shepherds, Merida and Arla. Katy also has a variety of reptiles. Outside of work, Katy enjoys quilting and sewing, playing with her dogs and hunting. Shantelle started with Towne and Country Animal Clinic in January 2017 in the kennel. Recently she has began training as a Veterinary Assistant with plans of getting a degree in Veterinary Medicine. She loves anything outdoors, makeup, drums and helping and loving animals. She has 2 cats Lilly and Nala and a Black lab Maggie. Olivia is our newest assistant, currently in school to become an RVT. She comes to us with a wide range of experiences and quite a bit of surgical experience. We look forward to working with her! 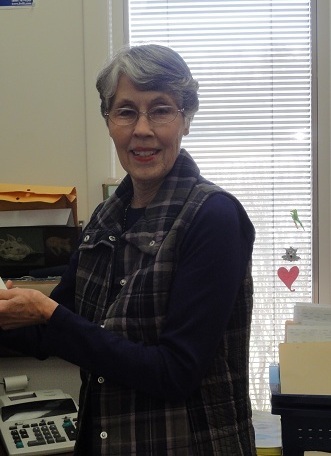 Barb has been working in the office and doing accounting at Towne and Country for 20 years. She has 2 very specials dogs of her own, a poodle Buddy, and a Pomeranian Marlee. Buddy and Marlee are quite accomplished agility dogs thanks to Barbs dedication and encouragement. In her free time she works in her gardens and goes hiking. Barb loves the ocean and beach, learning about new and different things, and feeding and watching the birds. Tish has been with Towne and Country Animal Clinic since 2001. She has adopted a number of animals from the clinic over the years that have come in needing a home. She currently has a Golden Retriever, a Lab and 3 cats. Tish stays busy raising 3 children along with her furry ones. In her free time, she is Cubmaster for a local Cub Scout Pack, and helps with her daughter's Girl Scouts. She often spends weekends scouting and camping or working on home projects. Tish enjoys traveling, especially to the ocean, hiking in the mountains and seeing new places with her husband and children. Most weekends she is spending time outside with her family. Regan started with Towne and Country first in the kennel and is now a receptionist as well as a veterinary assistant sometimes. Regan likes to hike, ride bikes, and spend time with family and friends along with playing with her furry family, Molly a Cane Corso and Annie a calico. Karmen has been with Towne and Country for about a year. Karmen loves dogs and has a Chow-Chow Mischa and an Akita Kiyoshi. In her free time, Karmen enjoys cooking, refurbishing furniture and caring for her orchids. Stacey first started as a client at Towne and Country and has been a receptionist for about a year. She has a dog Oreo and 2 cats, Jezabel and Squitchal. Stacey has 2 sons and loves spending time with her family. She also enjoys crafting, quilting and cross stitching. Kathy has been with the clinic since March 2014, and joined the staff with over 25 years of grooming experience. Kathy is an animal love who has a variety of pets includiding a Cane Corso, a Bull Terrier, and an American Bulldog. She enjoys being in nature, gardening and doing crafts. Angie started with Towne and Country Animal Clinic in October, 2015. Angie has 2 dogs, Charlie and Leo, both Maltese mixes. Angie's hobbies include spending time with her children and grandchildren, shopping, fishing and camping. She enjoys going to church and listening to her son Blane play the guitar and keyboard. Nick has been with Towne and Country Animal Clinic since May 2012 taking care of our boarders. He has 2 dogs Lucy and Curbie and enjoys fishing, target shooting and of course playing with Lucy and Curbie.